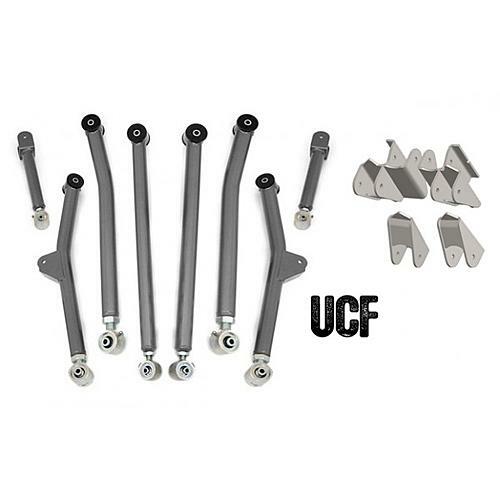 Our long-arm upgrade kit includes RC suspension links with Currie "Johnny Joints" and the UCF Long-Arm Bracket Kit. It will correct suspension geometry, improve ground clearance, and avoid skid plate modifications that are normally present with the RC Long-Arm Upgrade Kit. This looks like exactly what I want, and at just under $1200 the price is not bad (I can pickup their extra clearance skid and still be cheaper than most long arms). Anyone have experience or just opinions of this kit? Last edited by TerryMason; 09-25-2012 at 09:47 AM. Terry, I do not have experience with any of the link suspensions, BUTTTT... I did read a article in JP magazine where they did a shoot out between the big tj suspension companies. the FabWorks lifts faired well, They praised the large joints and stated they were larger and beefier than the other companies joint and the johnny joints allowed for much more angle within the joint. I do not recall any negative remarks about the lift and it may have been the one that came out on top, I cant remember. Sorry! But they did like it though. Word to the wise, you get what you pay for. DON'T BUY Rough country, Trail master, rancho, sky jacker, super lift, Pro comp, Rusty's. 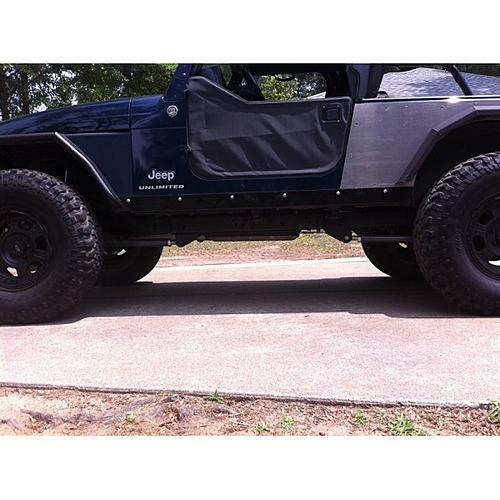 I find these are poor examples of lift kits. You will have problems with the install and the life of the components, specifically joint failure. The money you save on the purchase will be spent chasing gremlins and replacing broken and worn out parts. Yes, someone will tell you on the internet that they have had this and that for years and everything works, but generally those are also people asking questions regarding death wobbles, excessive tire wear and poor offroad performance. Companies I suggest are Clayton, tera-Flex, T&T customs, AEV, Synergy, Metalcloak, Rubicon Express, BDS, Old Man Emu. In the end, do what you want but if you want to pay for a Yugo, don't expect it to be a Rolls Royce. "For a limited time you can use the coupon code "freeshipover299" to get free shipping on all orders over $299.00." I hear you. I'm interested in this kit mainly because it uses real Currie brand Johnny joints. I don't want to cheap out, but do want to find a good balance of parts and price. I'd really like a bolt on kit that incorporates a tummy tuck skid into the design, since I'll be farming out any welding. One thing that UCF addresses is the main issues with RC links and the flimsy frame mounts, the the RC x-flex joints are absolute junk. The Johnny Joints are light years better, and at about $100 retail per joint, what UCF is asking for the kit is fairly reasonable. 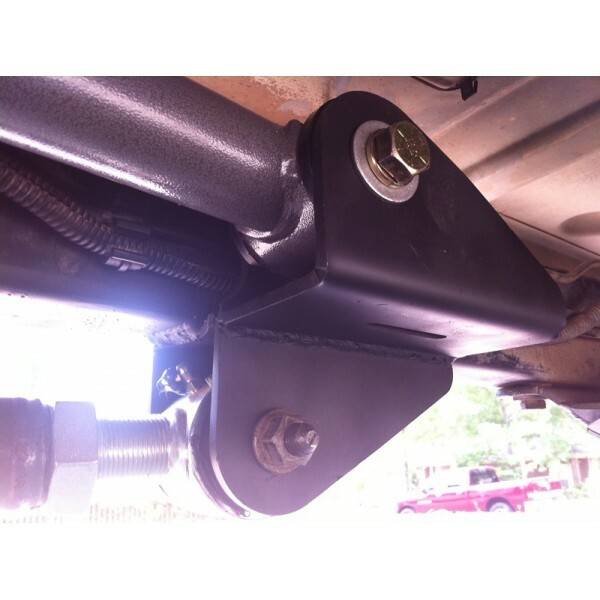 and about $150 for the frame link mounts. SO $1200 for the whole thing is a very fair deal. 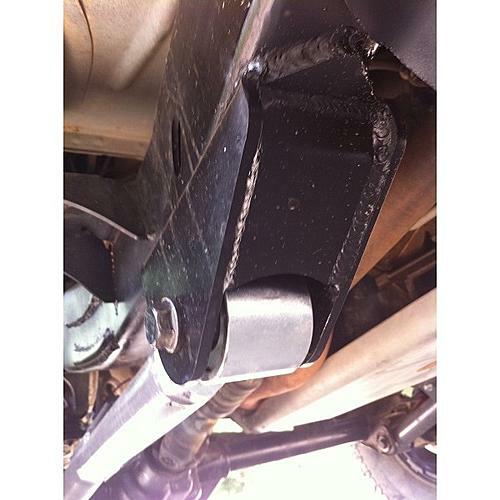 I prefer using frame welded mount as opposed to the ones that are part of some mass produced skid plate. Then for a belly skid, in the past I have just used 1/4 flat plate, couple holes and a couple pieces of 1/2x1/2 angle welded on the top side in an "X" to brace and be done. Also Barns 4wd has a really good price on flat skids. Price is so good this is the route I have been pushing people I know. 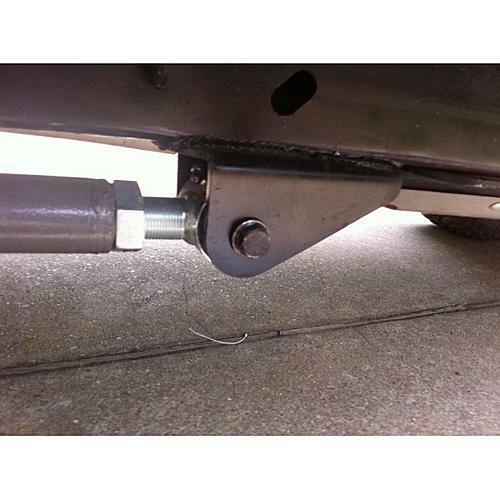 The only other thing I would recommend is on any and all mounts, I like to weld 3/16 plate on the outside of the mounts where the bolt passes through (think thick fender washer), specifically if that mount could potentially contact an obsticle. This will add rigidity and durability, plus it will prevent the hole in the mount from wallowing out. Thanks for the reply Johnny - it sounds like you're not totally against the UCF kit. I think I may go ahead and put this on my Christmas list. Johnny, what skid would you put on a TJ with 1" mml and 1.25" body lift - 0" or 2" drop? I'd like a flat skid, but I'm thinking that'll push me into getting a SYE (which I guess I plan to do eventually). 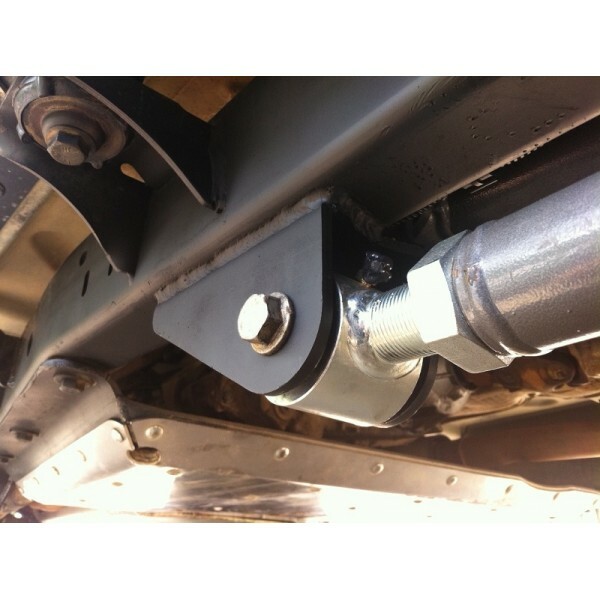 I imagine with a 2" drop I wouldn't have to protect the skid mounting bolts either. Last edited by TerryMason; 09-26-2012 at 04:10 PM. I was looking to upgrade from the Rubicon Supe-Flex 3.5 lift to the Long Arm Upgrade Kit. The upgrade is between 1520.00 and 1850.00. Plus the original kit. I was talking to my mechanic and he thinks Tera-Flex makes one of the best long arm kits? Thanks again for the tips. 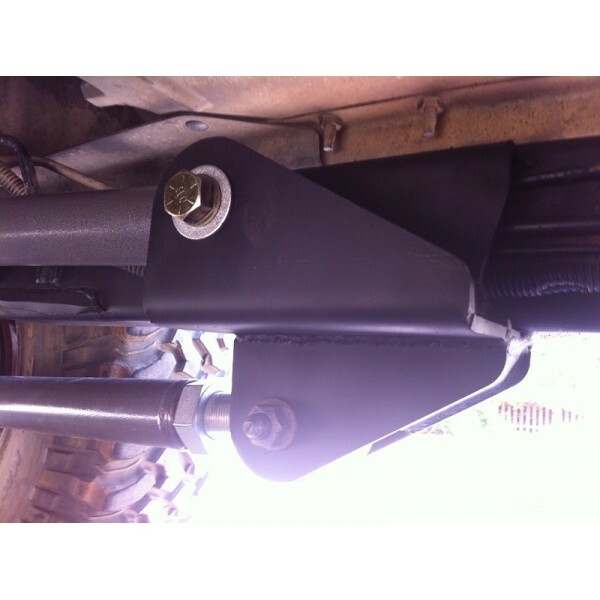 I've ordered a 2" drop skid from Barnes 4x4. It ended up being only $143 including shipping (half of what UCF charges). They were nice enough to help me pick out the right skid over the phone. I think that I'm going to get my skid in place, then order a SYE / driveshaft, and once that's done I'll circle back to the lift thing. RE long arm or Tera long arm?? ?